Apple managed to grow its iPhone sales in the U.S. and the big five European markets during the June quarter, in spite of a global decline in shipments, according to new research data. Apple's U.S. sales advanced 1.3 percentage points year-over-year, giving it 31.8 percent of the country's smartphone market, Kantar Worldpanel said this week. Cumulative share amongst Android manufacturers meanwhile dipped slightly from 66.1 percent to 65.5. If counted as a single device, moreover, the iPhone 6s and 6s Plus were the top-selling product, taking a 15.1 percent share. Samsung's Galaxy S7 and S7 Edge ranked second at 14.1 percent, followed by the iPhone SE at 5.1 percent. The SE was the best-selling phone in Great Britain, snapping up a 9.2 percent share, with the iPhone 6s close behind at 9.1. The iPhone platform as a whole rose 3.1 percentage points in the region to 37.2 percent. German iPhone share reportedly increased for the first time since the third quarter of 2015, advancing a point year-over-year to 14.2 percent. Steady levels in France and mild declines in Italy and Spain limited Apple's overall big-five growth to 0.7 percentage points. Apple's biggest blow came in China, where it fell 1.8 points to take a 17.9 percent share —below Huawei's 25.7 and Xiaomi's 18.5, Kantar noted. 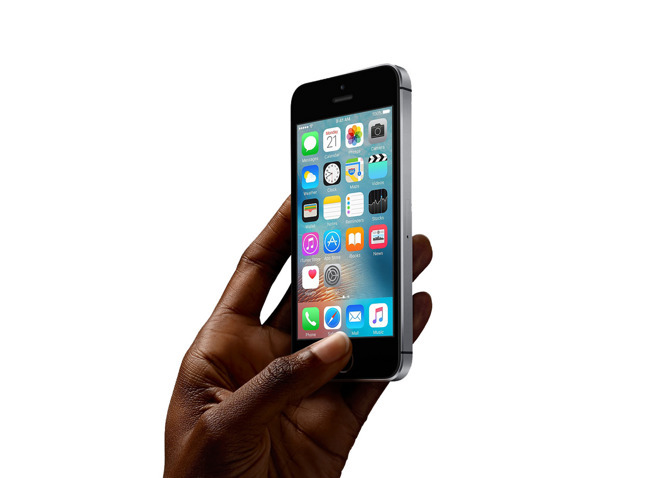 The iPhone 6s and 6 Plus were the best-selling individual smartphones, but the iPhone SE snatched just a 2.5 percent share, something Kantar blamed on supply constraints. Worldwide Apple shipped about 40.4 million iPhones in the quarter, a 15 percent drop year-over-year. It nevertheless held onto second place among vendors, beaten only by Samsung, which held onto a large lead with 80 million units.